Volkswagen is defying U.S. investigators’ demands for email evidence. It’s a losing tactic, both legally and in the court of American public opinion. Yet it’s credible under German law – and a predictable reaction to a justice system that has a reputation for treating foreign firms more harshly than American peers. VW promised repeatedly to come clean about rigging software on some 11 million diesel-powered cars worldwide to fool environmental tests. Its credibility suffered early on, though, with revelations that more vehicles were affected than initially claimed. Now the carmaker has angered U.S. state attorneys general by, they say, refusing to turn over communications between its executives. The company cites Germany’s Federal Data Protection Act and other laws. The claims are consistent with a European Union view of privacy that is generally more protective than America’s. Yet they could be disastrous from a public-relations point of view, and probably wouldn’t survive a court challenge. European privacy laws generally allow owners and subjects of the information to disclose it, so presumably VW could freely cough up company emails, though executives involved might argue they get a say. What’s more, U.S. courts have ruled that law-enforcement needs trump foreign privacy laws, even where a bank’s customer information is concerned. That helped the feds pursue tax evasion charges against fugitive commodities fraudster Marc Rich in 1983 and, more recently, American clients of Swiss bank UBS. It’s understandable, though, that companies based elsewhere might balk at enforcers’ demands. U.S. criminal fines from 2001 to 2012 were on average more than seven times larger for overseas entities than domestic firms, according to University of Virginia Law School research. That supports suspicions of anti-foreign bias in actions against banks, for example. When it comes to autos, General Motors paid just $900 million to settle charges over faulty ignition switches connected with more than 120 deaths – yet the Justice Department has sued VW demanding penalties that could theoretically add up to $45 billion. Differences in the cases may explain the discrepancies. In general, U.S. companies have also learned that prompt and thorough cooperation can reduce their liability. VW is probably daft to resist the same conclusion. Yet Europeans are wary of America’s relatively weak privacy protections. Add prosecutors’ perceived xenophobia, and Uncle Sam shares blame for the gridlock. U.S. state attorneys general on Jan. 8 criticized Volkswagen for relying on German privacy laws to withhold documents in an investigation of the automaker’s use of illegal diesel emissions software. 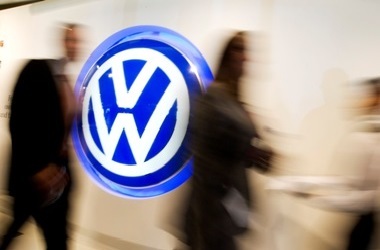 The officials said the emails among VW executives and other communications were being kept from the group of 48 state attorneys general investigating excess emissions in 580,000 diesel cars in the United States. The U.S. Justice Department and German prosecutors are also investigating the automaker, which has said up to 11 million vehicles worldwide had software designed to produce unrealistically low emissions for tests. On Jan. 11, U.S. District Judge Charles Breyer, who is overseeing more than 500 lawsuits filed against Volkswagen over the emissions scandal, said he planned to name Robert Mueller, a former director of the Federal Bureau of Investigation, to help settle the cases.